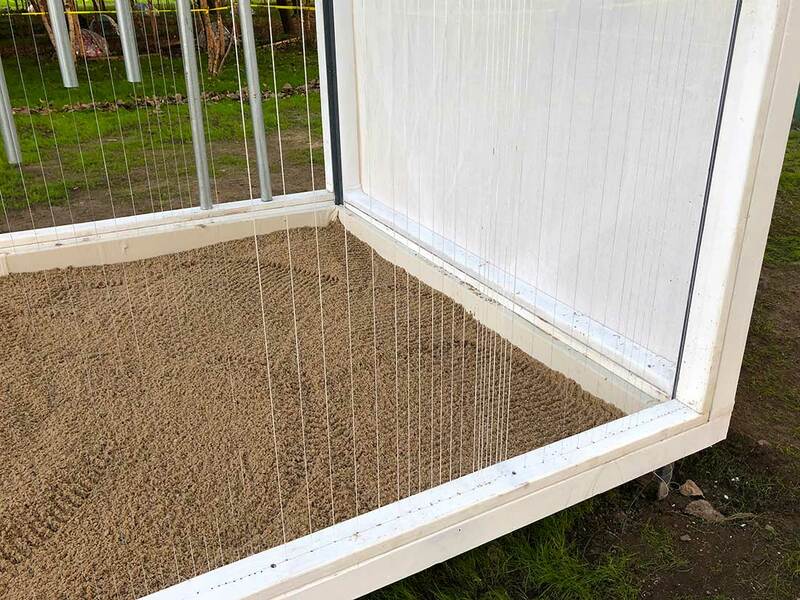 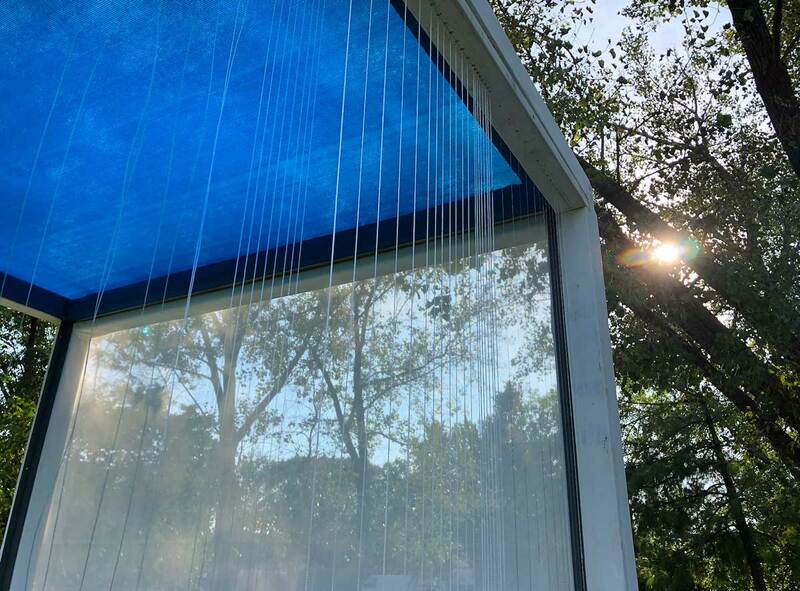 Reverb Space, 2018, interactive installation, multiple materials, metal tubes, strings, translucent fibers, blue tarp and sand, 96 x 96 x 96 inches © Lionel Cruet, 2018. 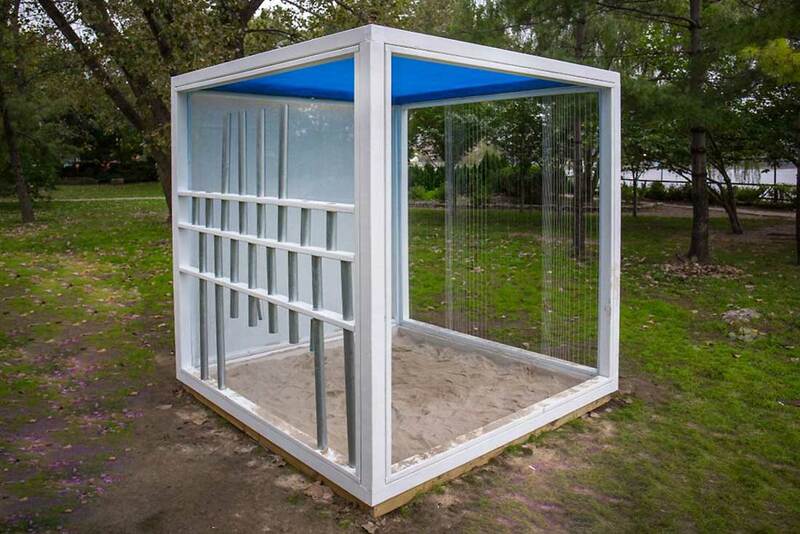 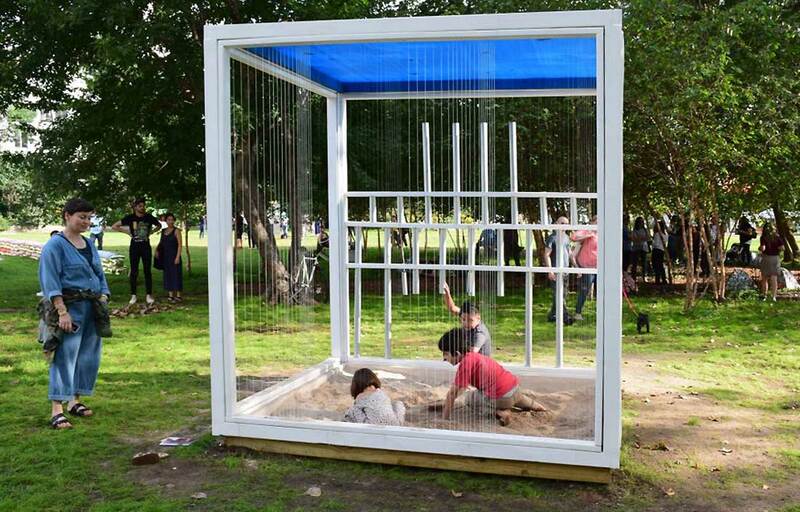 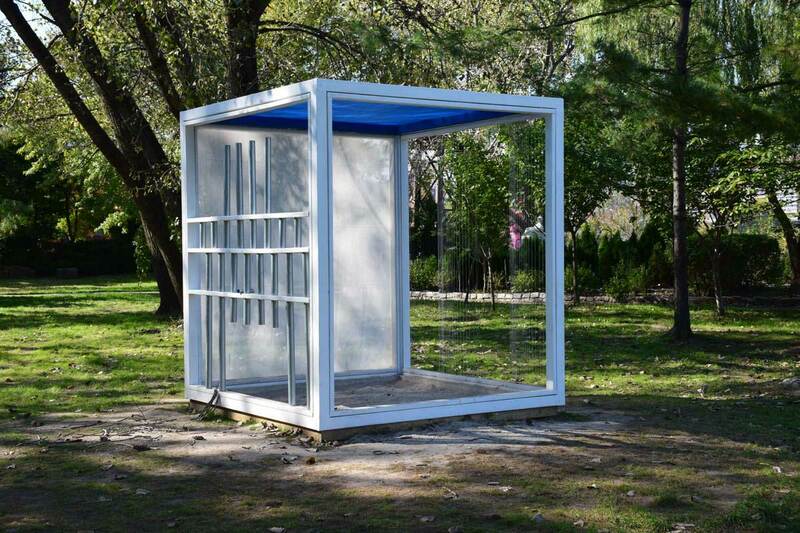 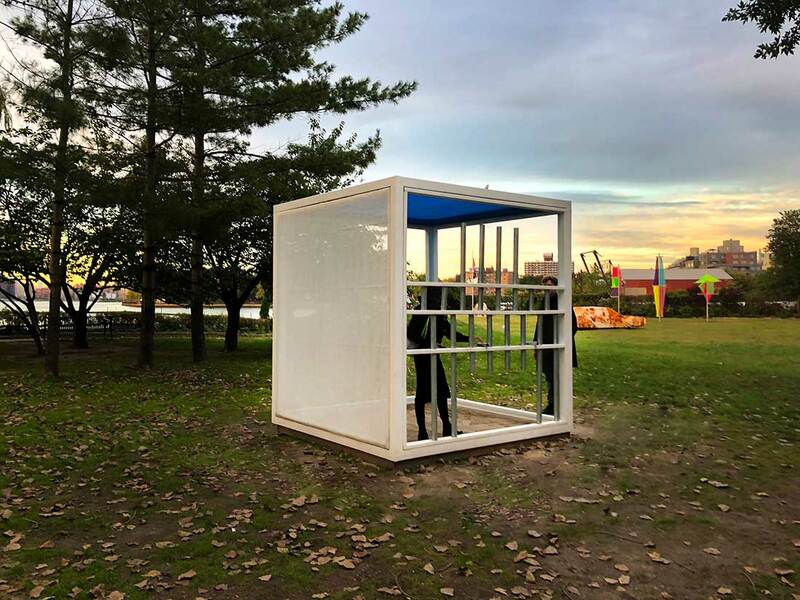 Reverb Space, a multi-sensory installation within a porous cube that visitors are invited to enter. 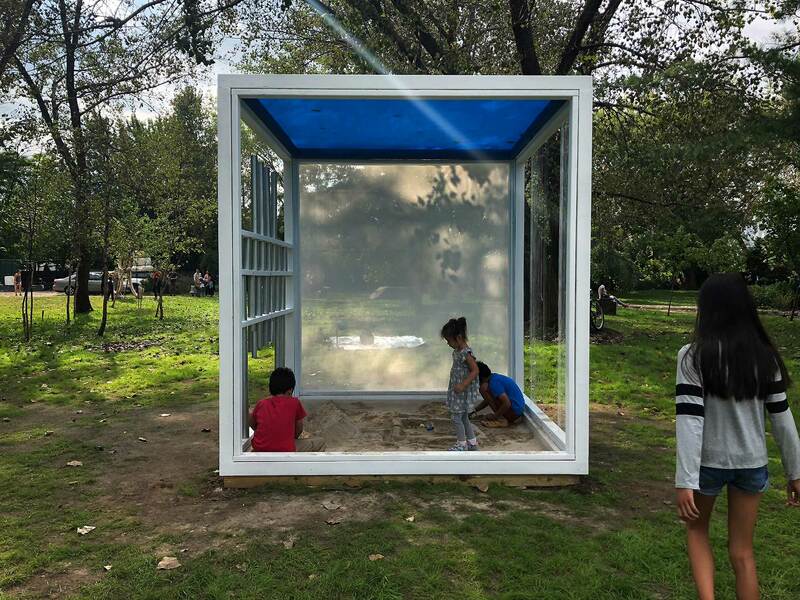 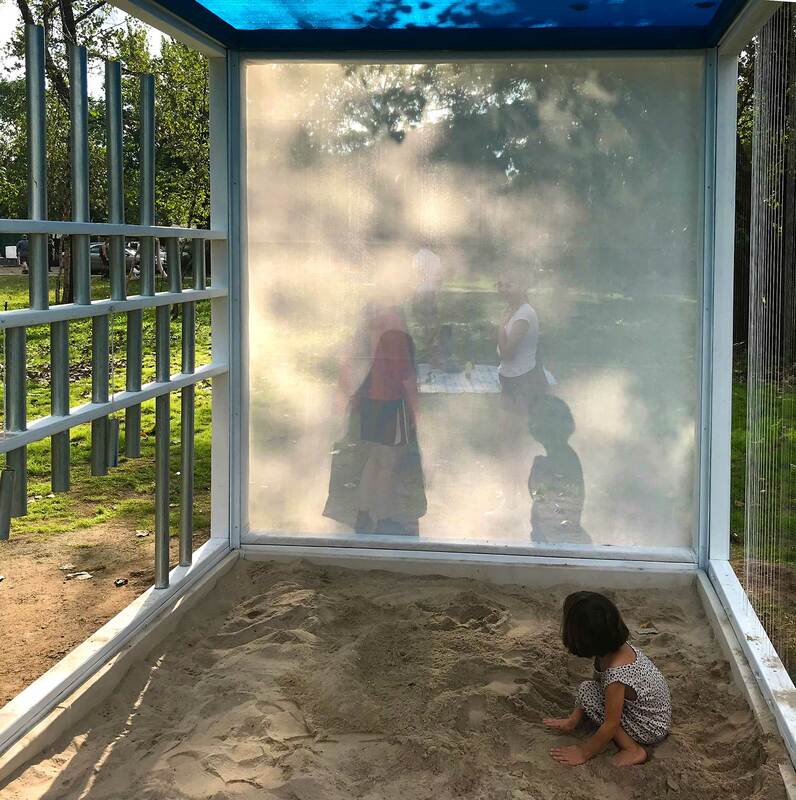 Each wall of the cube produces sound, taking cues from musical instruments, while the sand covered floor provides texture and the translucent blue tarp ceiling colors the light within and interacts with the environment through the day. 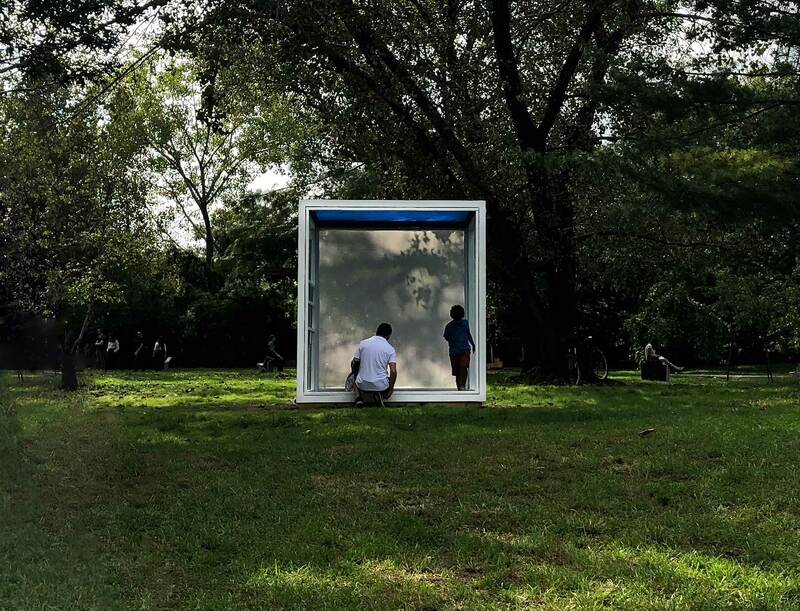 The installation will be on view till March 2019.